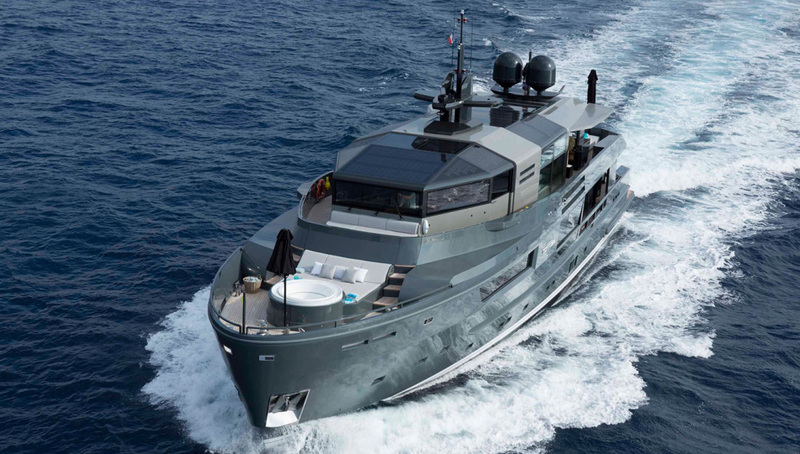 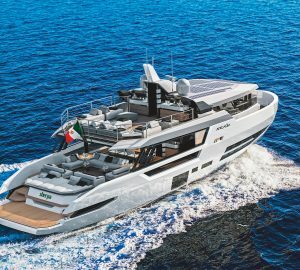 Tortoise is the fourth yacht in the Arcadia Yachts 115 series, built in 2015 by this renowned Italian shipyard. 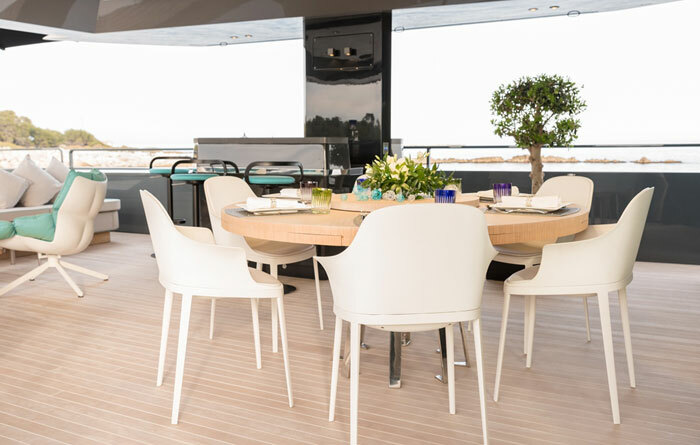 Her elegant exterior was designed by Francesco Guida while her delightful interior features white Poltrona Frau leather furnishing designs. 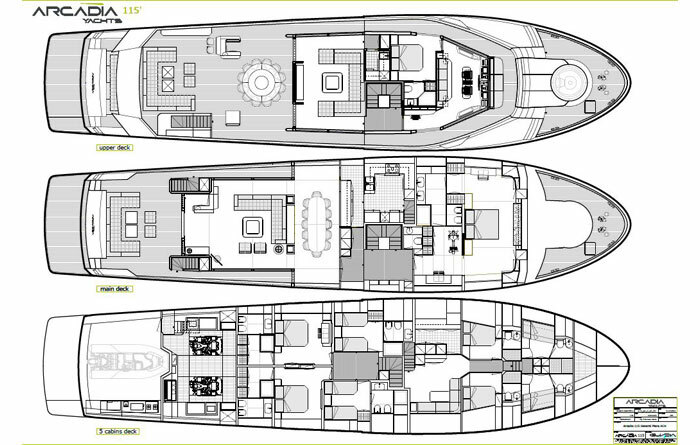 She can accommodate 12 guests in 6 luxurious cabins with quarters for up to 8 crew. 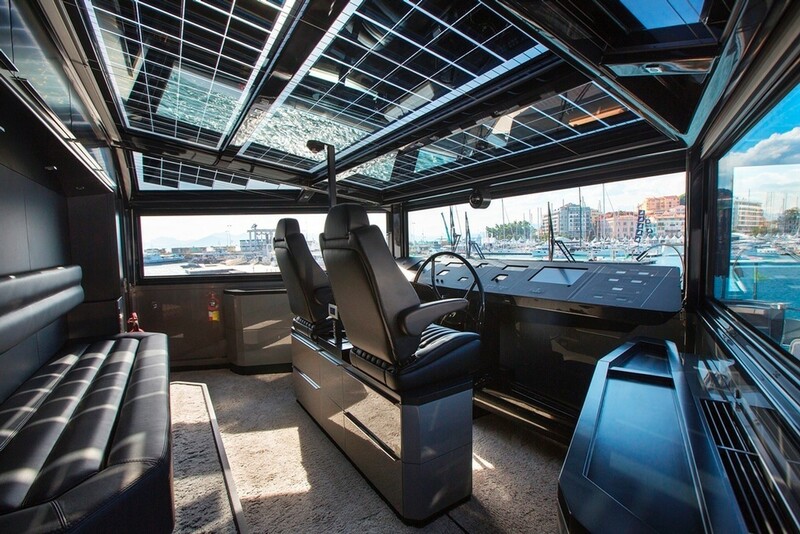 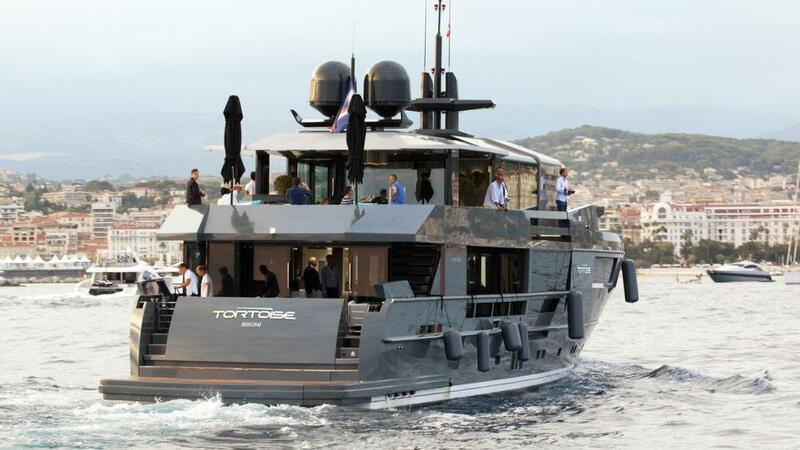 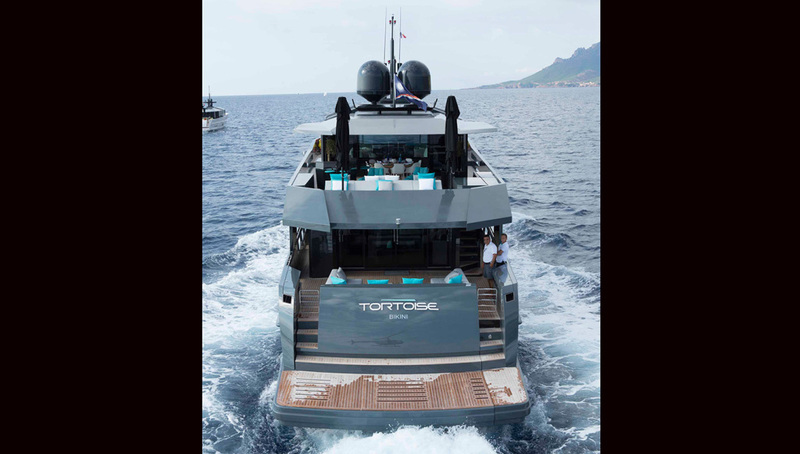 Admired for her impressive appearance, Tortoise has a fiberglass hull for hydrodynamic efficiency. 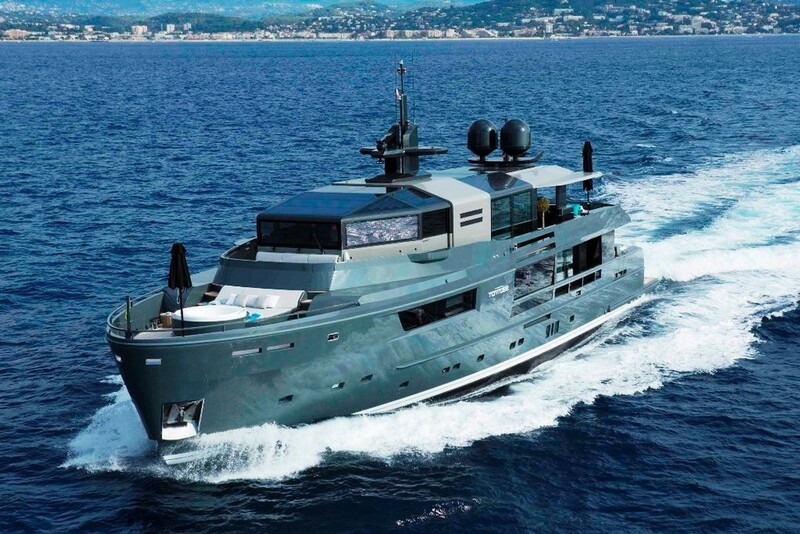 Her hybrid propulsion engine can achieve up to 8 knots without creating harmful emissions or noise pollution. 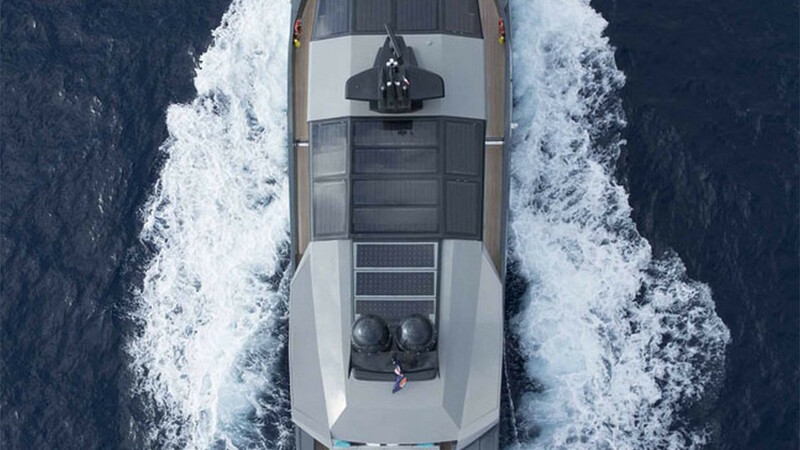 This stunning eco-friendly superyacht fitted with double-glazed solar panels has a cruise speed of 14 knots and a top speed of 17 knots. 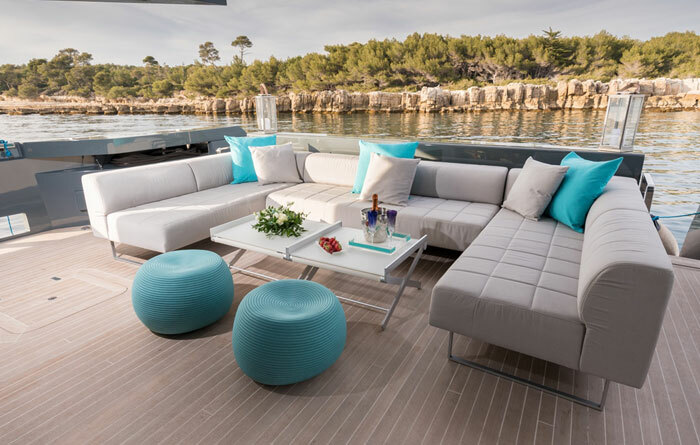 Designer Poltrona Frau has created a wonderful modern Mediterranean feel inside and out by complimenting Italian-made dark wood with pale leather. 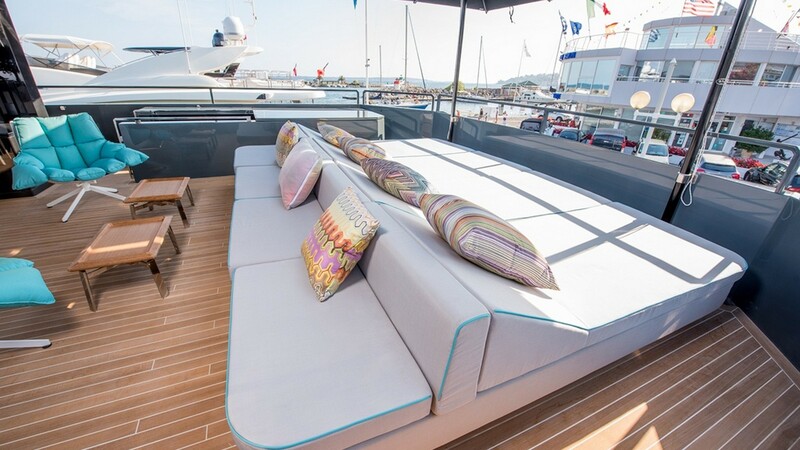 Relax on the comfortable sofas while admiring the views. 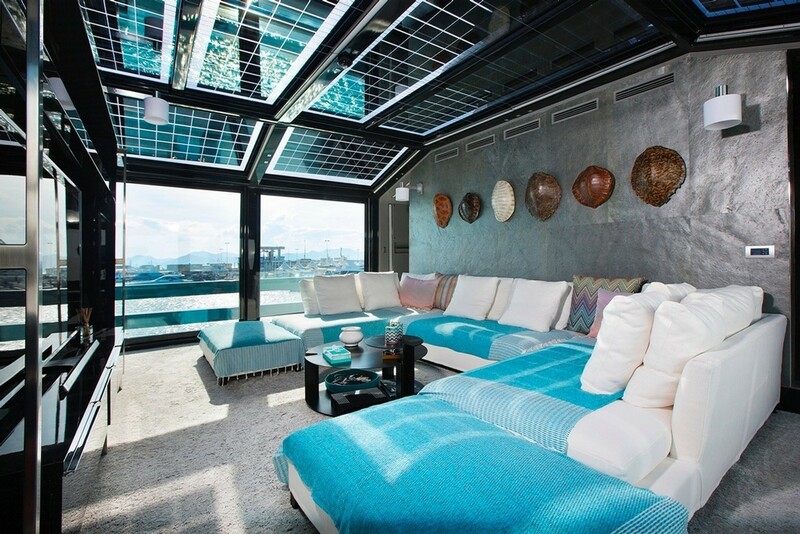 Floor-to-ceiling glass panels give panoramic views that allow the sunlight to stream in from dawn to dusk. 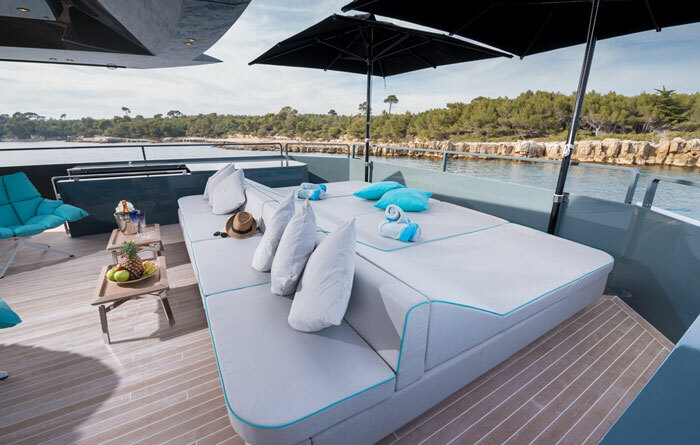 With high-quality fabric upholstery and fresh white as well as a turquoise color scheme, Tortoise also has a fully equipped kitchen including a gym off the master suite. 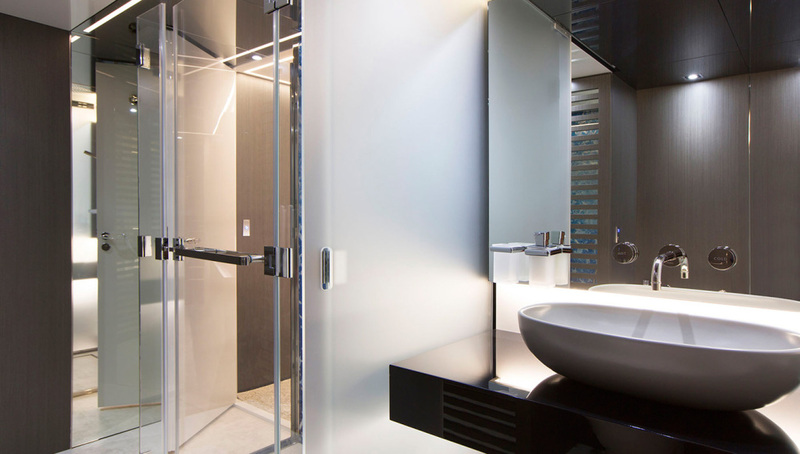 The television room and state-of-the-art gym provide guests with plenty to do when they are not playing with the various water toys. 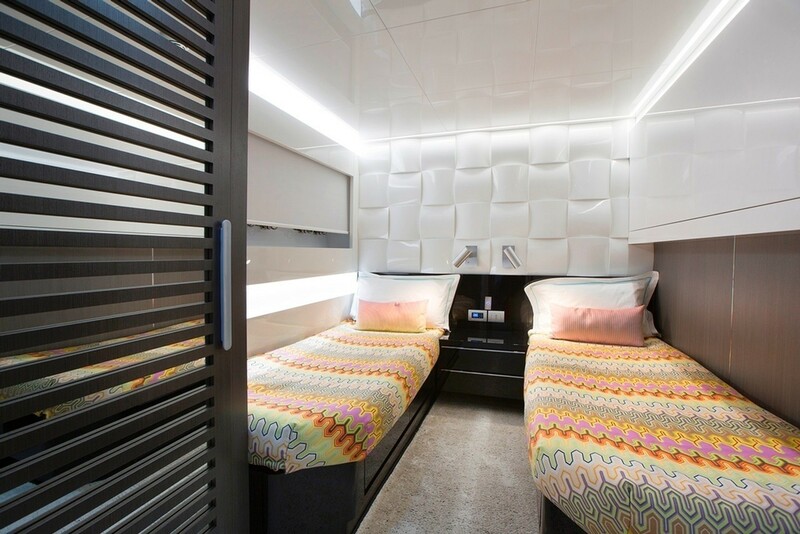 Try the Seabob water sleds, water skis, WaveRunner, wakeboard, personal watercraft or the snorkeling equipment. 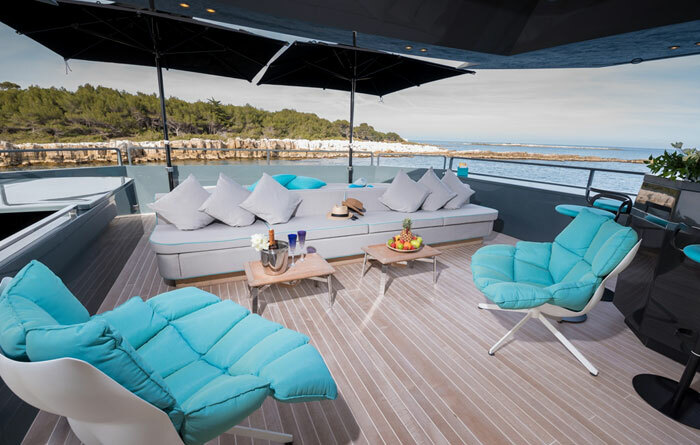 For the ultimate in relaxation, guests can enjoy their private verandas. 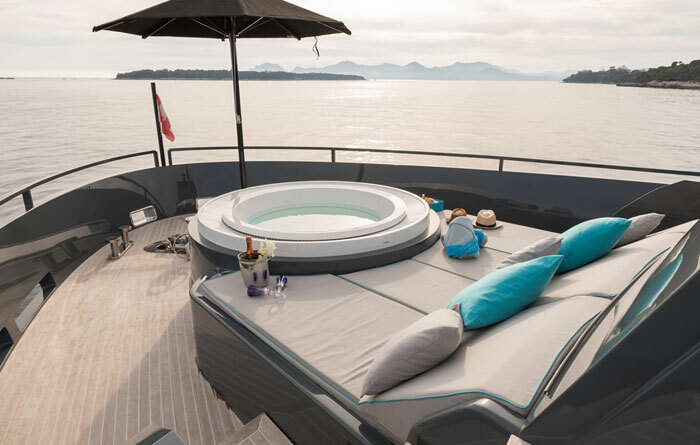 There is also the intimacy of the deck jacuzzi, saloon, and bar. 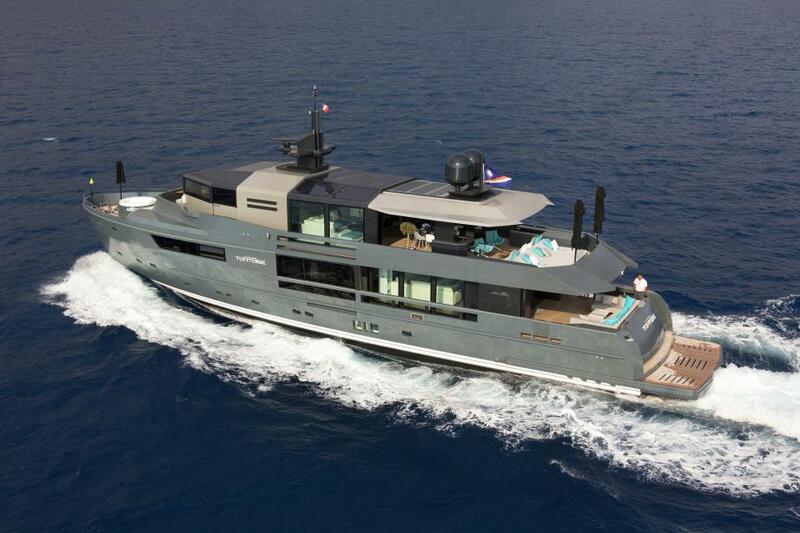 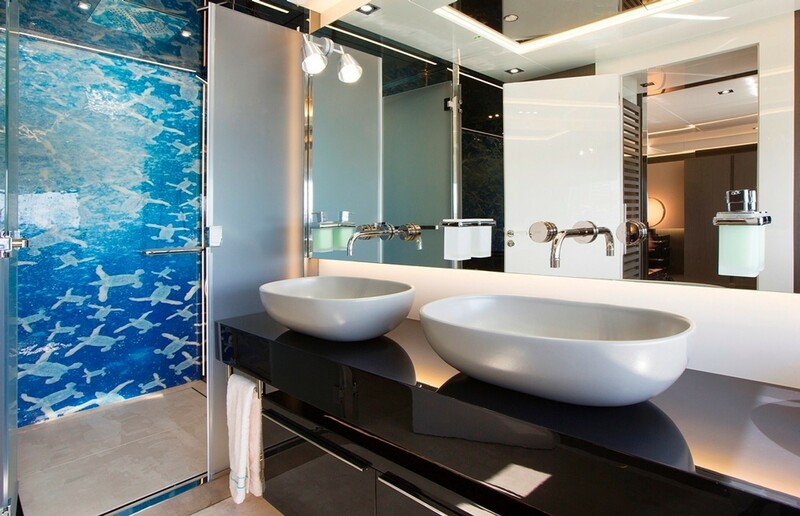 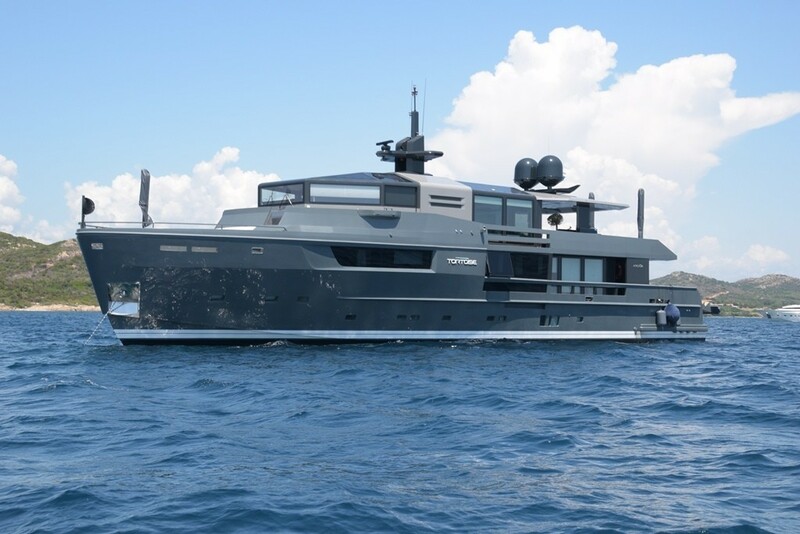 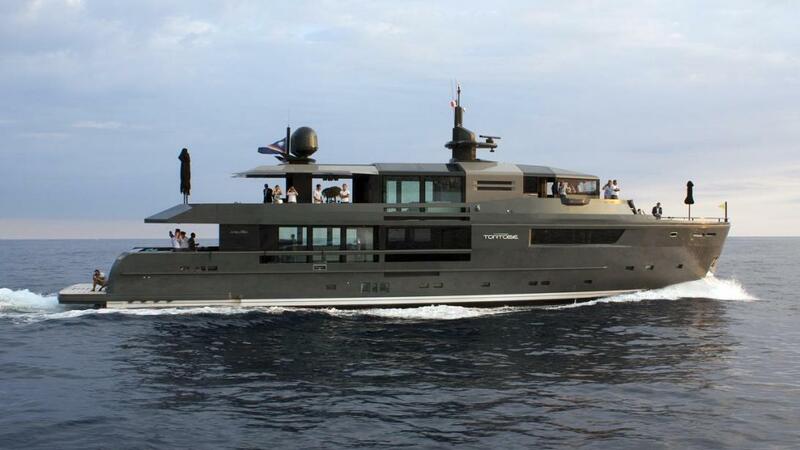 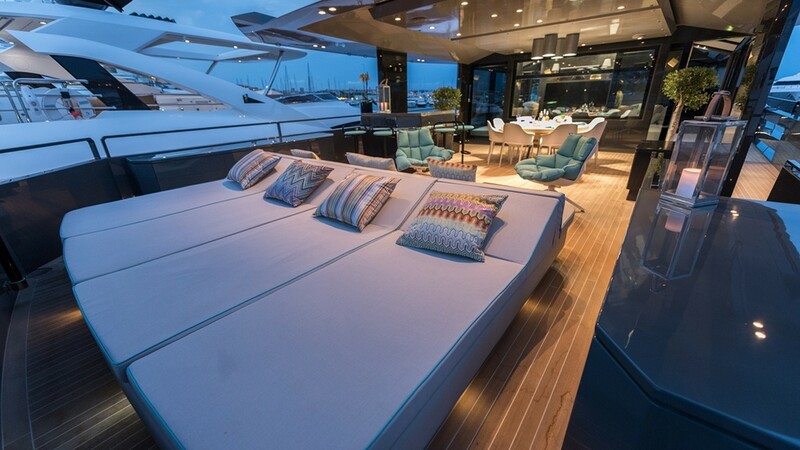 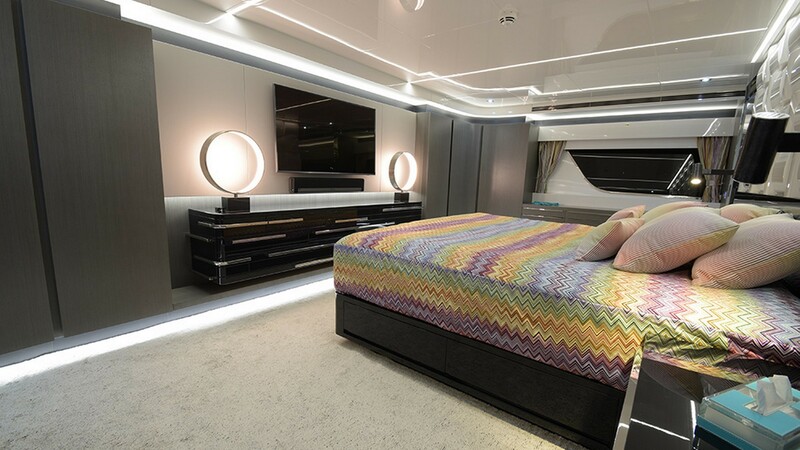 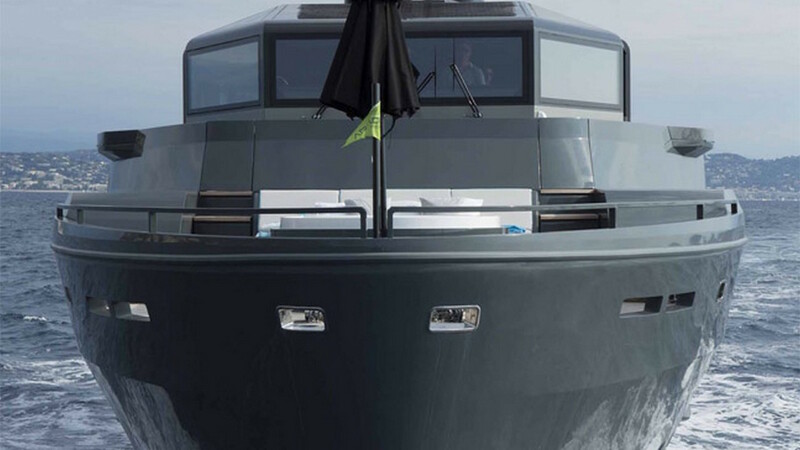 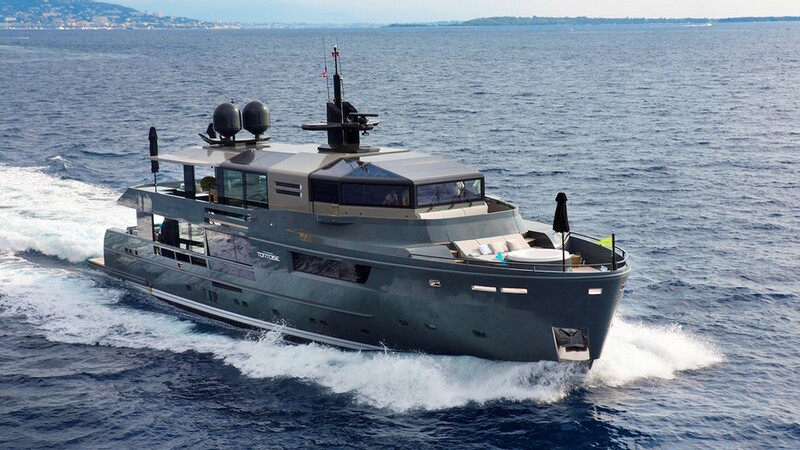 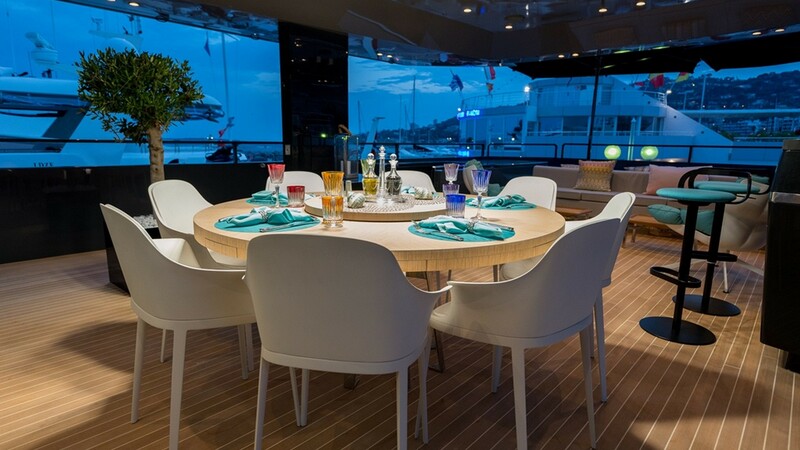 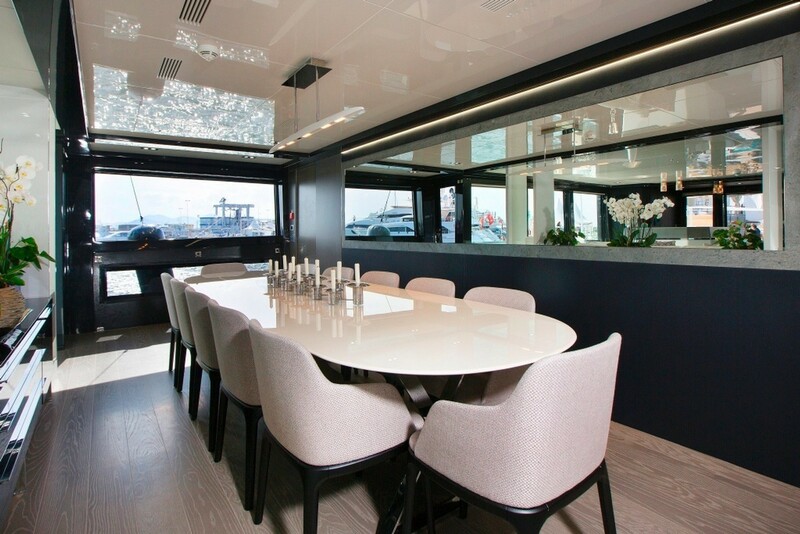 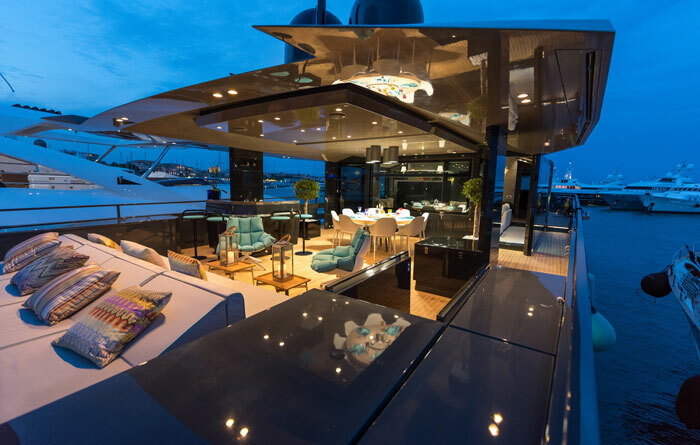 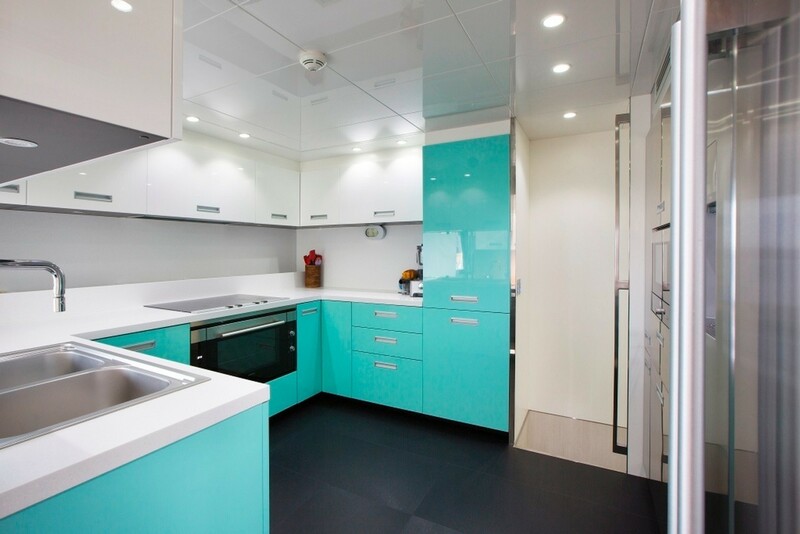 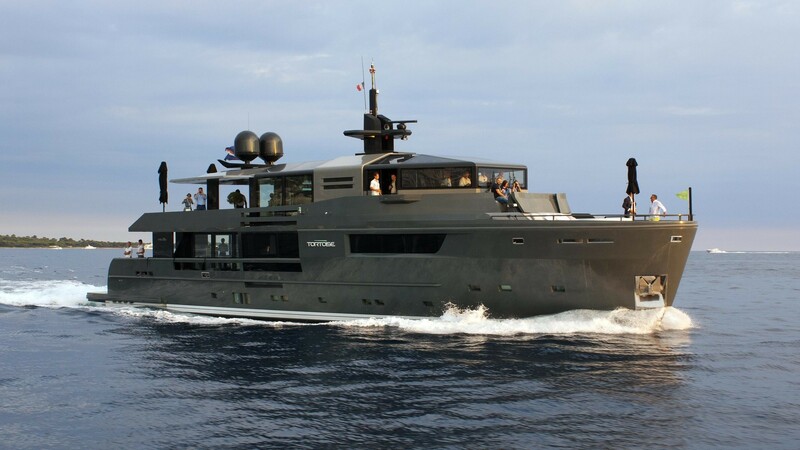 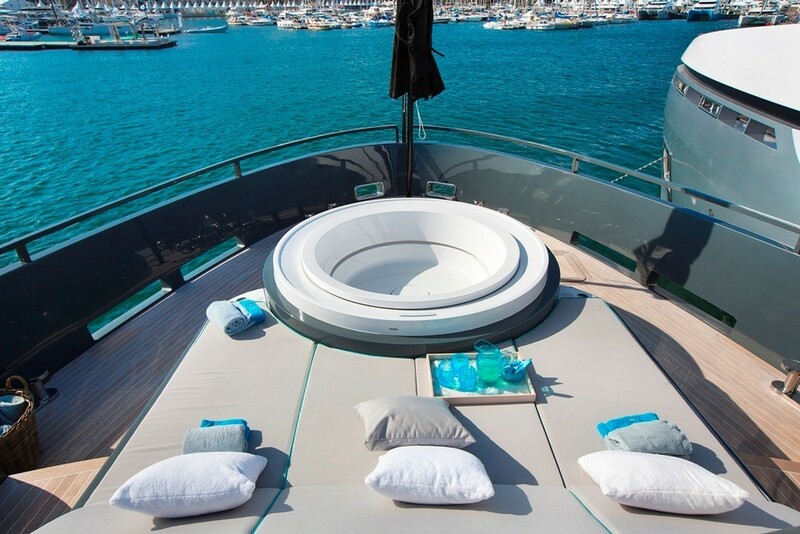 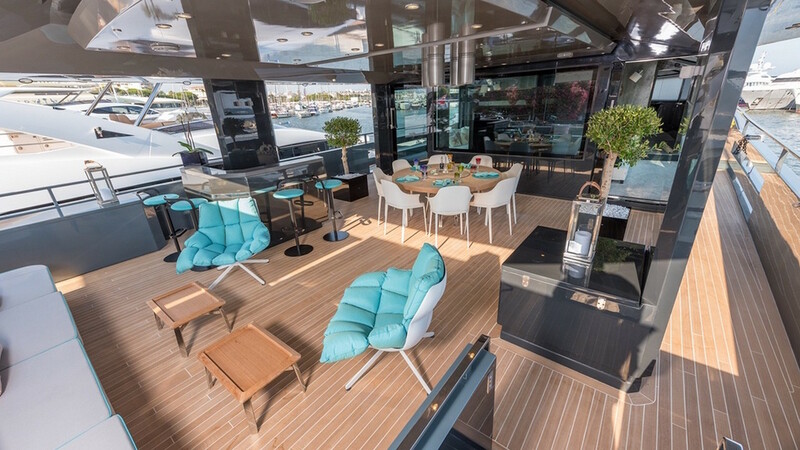 This 35m superyacht can accommodate up to 12 guests in her six cabins. 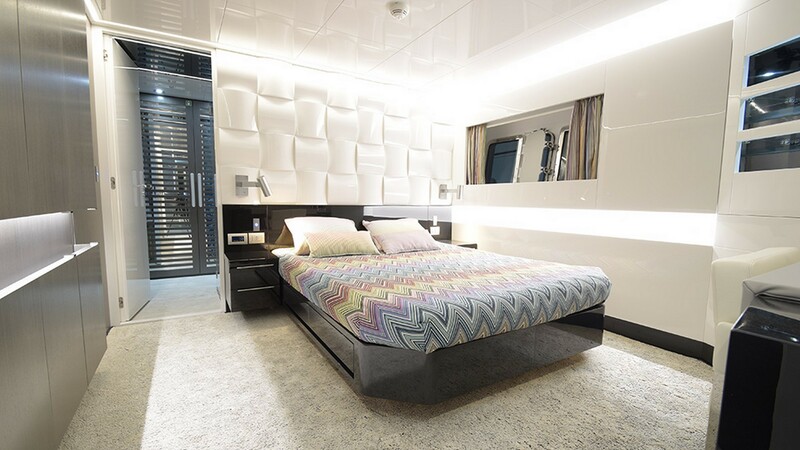 These comprise of three double cabins, two twin cabins, and one master suite. 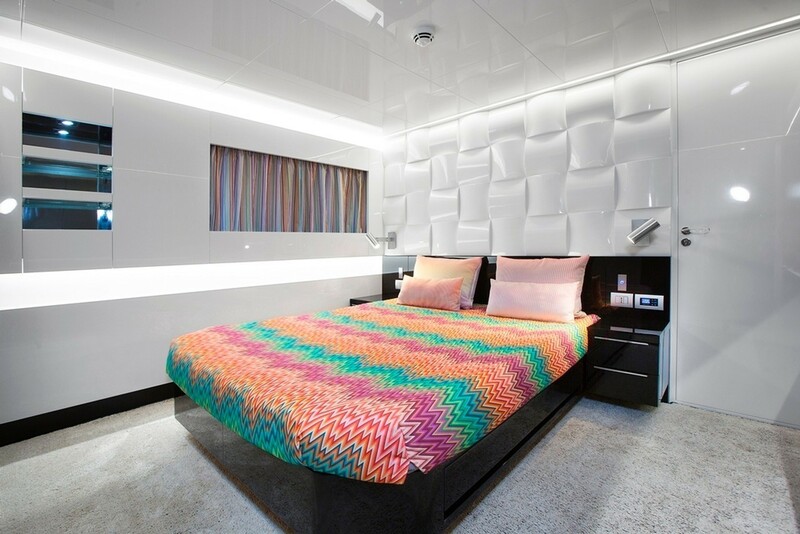 All rooms are tastefully decorated and beautifully furnished with the finest Italian furnishings. 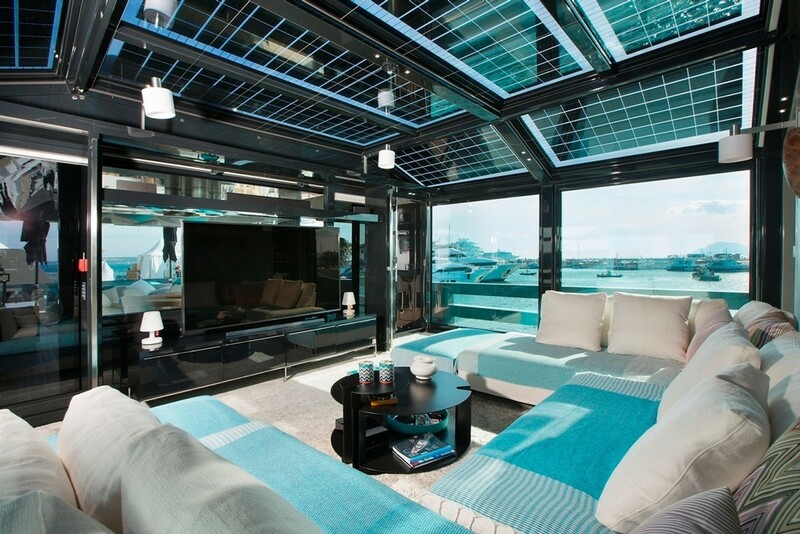 The lower deck can accommodate eight crew members.